Perfect for a special occasion, she'll love this LESY Girls Pink & Gold Satin & Lace Dress. She'll look like the belle of the ball wearing this gorgeous dress, Made in pale pink satin, with an exquisite tulle overlay, embroidered with glistening gold thread and floral appliqués, and a sparkling gold sash around the waist. 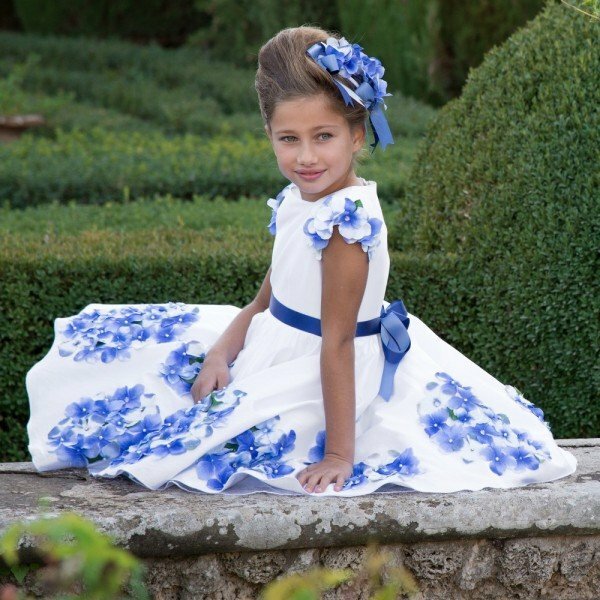 Fit for a modern Cinderella, your little girl will be the center of attention. Complete the look with a matching GRACI Girls Golden Floral Hairband and MANUELA DE JUAN Gold Glitter Leather Girls Shoes.